Hi, my name is Ayesha Adu. Welcome to my film’s GoFundMe campaign for my film project Little Men. In early spring of 2018, I was the producer and director of a film taking place in Minneapolis, MN titled, Little Men. I wrote the award-winning screenplay. As of January 10, 2019, we just need about $5,400 to finish Little Men in the vision it was meant to become. Set in 1989, Little Men is a compelling winter tale of two endearing 10-year-old boys, Andre and Marcus. Their friendship is tested after they discover a dead body on the way to school. An existential crisis occurs when one of the boys steals money from the victim’s wallet and picks up a wedding band found near the dead man’s head. What happens after they find the body, challenges them to think about themselves, each other, and the world they live in. I am creating Little Men as a way to introduce myself to as an auteur to the world. I am the kind of filmmaker that creates compelling, provocative, well-thought out films that challenges the audience to ask questions about how they see the world and what they see in themselves. In 2018, I received a MN State Arts Board Artist Initiative Grant to produce and direct Little Men. 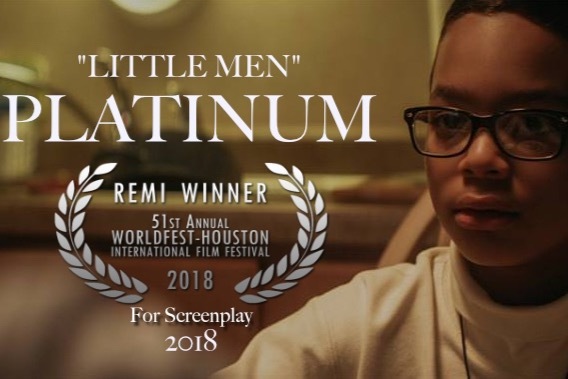 Additionally, in 2018, Little Men won a PLATINUM Remi award from the Worldfest Houston International Film Festival for their short screenplay competition, and it placed quarterfinalist at the Atlanta Film Festival Screenplay Competition last spring and was featured at their festival! Little Men was also a quarterfinalist for the ScreenCraft Film Fund competition fall of 2018. Needed are funds to complete the post-production phase of Little Men. What we need is $5,400.00. This pays for crew, post-production, musical score, color correction, and sound design. Our Co-Producers are Senay Matewos, Sovereign Hues, LLC., and Black Feather Creative. Thank you for taking the time to read about my work and Little Men. Please share this with others whom you think would be interested in donating to this campaign. I hope your holidays were great, and I hope you are looking forward to the new year with all it has to offer. This is also an update on Little Men and the progress we’ve made so far. We unfortunately lost some major funding opportunities at the end of the year due to highly competitive grants. We applied for four different grants including the Women in Film finishing film fund grant. There were over 300 applications for just that grant alone. We placed quarterfinalist for the ScreenCraft Film Fund but did not make it to the semi-finalist round. The other two grants were also extremely competitive national and international grants. This means that we will not be able to continue shooting the film as we had hoped, and we will not be able to reshoot three of the scenes we wanted to redo. 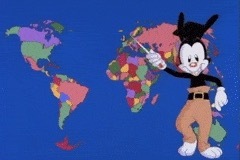 What we are doing is considering the idea of animating the scenes we couldn’t shoot on digital video. We are in the process of interviewing animators who would be interested in working on a pro-bono or stipend basis. This means they would be working for screen credit or a small stipend. We will edit the footage we have and make the vision work. The total we are raising is $5,400. Our goal is to have Little Men completely finished and ready to be seen by mid-July or early August at a venue as yet undecided. If you have some ideas of where you’d like to see Little Men shown, please, share them with us! If you could please respond to this email with an email address so that we can add it to our mailing list to let you know when the screenings takes place that would be awesome. We respect your privacy, and we will NOT sell your information. If you have any questions, please respond to this email. RADIO INTERVIEW ON KFAI 90.3 (Minneapolis) and 106.7 (St. Paul)! Tonight, at 7pm, I will be interviewed on KFAI's Fresh Fruit by RARE Production's, Roxanne Anderson. TAKE A LISTEN, AND SUPPORT RADIO WITHOUT BOUNDARIES! Some quick questions to understand my audience a bit better. Help me get to know you! What social media sites do you like to frequent? Do you read blogs/follow particular influences? Where do you watch what you watch? Where should we show our short film, Little Men? Tomorrow night, at 7pm, I will be interviewed on KFAI's Fresh Fruit by RARE Production's, Roxanne Anderson.